The Élysée feels that “the conditions for France to authorise the delivery of the first BPC are not favourable at the moment.” The contract has been suspended until November. For France, the situation has become untenable. On one side, there is Vladimir Putin who sends a thousand men with armoured cars and tanks to support the separatists in Ukraine. 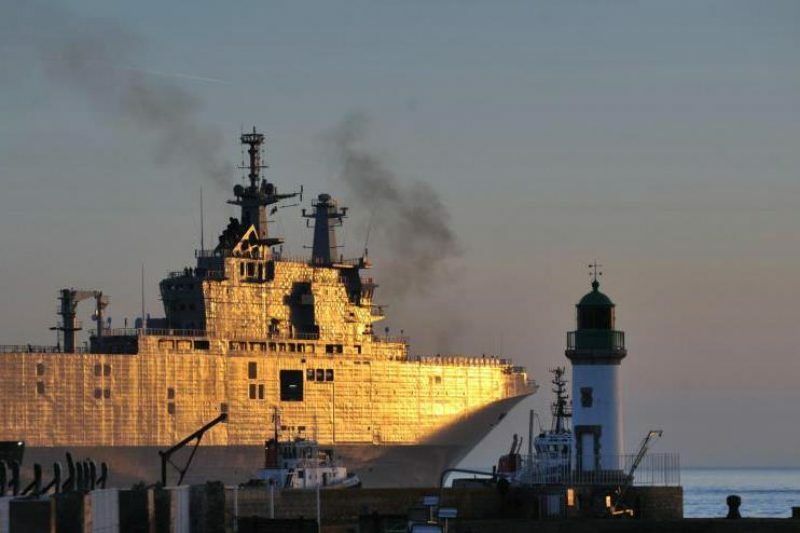 On the other, there are the ever-increasing demands from France’s traditional allies, imploring them to renounce the sale of the two Mistral warships to Russia. The inevitable decision was taken on Wednesday during a French defence council meeting. “Despite the prospect of a ceasefire that remains to be confirmed and put in place, the conditions for France authorising the delivery of the first BPC are not favourable at the moment,” confirmed the Élysée communiqué. The French have been keeping their heads in the sand over this sensitive issue for some time now, hoping against hope for a scaling down of the Russian/Ukrainian crisis. For a long time, the French official line had been to play down the importance of the role of the much-vaunted Mistral in the conflict, going so far as referring to it as an “empty shell”. France stands to lose out if they fail to deliver for the Russians – not only losing an important footing in the highly competitive international arms market, but also suffering penalties as written in the clause of their agreement with the Russians. Adding to the baying voices of Britain, Poland, the Baltic States and Germany, the USA (the world’s largest arms supplier by a very long way and currently supplying the Israeli army) saluted “a wise decision” by the French.